In this week's episode of GradCast, we present Part 1 of our 2 part series from the Western Research Forum, Western University's largest interdisciplinary showcase of research. Every year, the Society of Graduate Students presents a day-long conference filled with talks from faculties around campus, all associated with the theme of the year. WRF 2018 is all about Controversy. 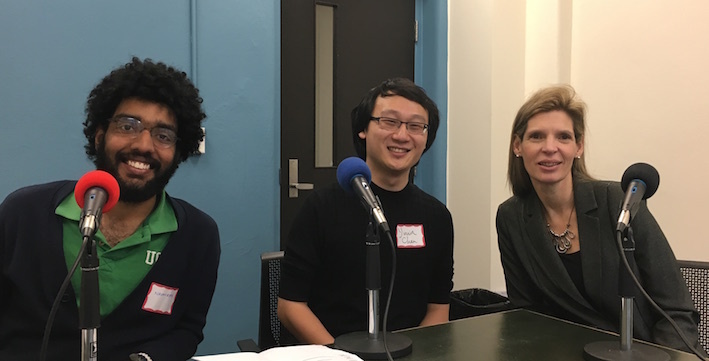 Navaneeth and Yimin chat with WRF 2018 organizer Emily Carlisle, about Controversy and how it is to organize such a big event. We also chat with keynote speaker Dr. Shelley McKellar from History of Medicine at Western. Dr. McKellar gave an engaging talk about the controversy-laden and boundary-breaking invention, the artificial heart, a topic of her new book "Artificial Hearts: The Allure and Ambivalence of a Controversial Medical technology".